Cony Creeks stream bed reveals it's copper coloring and hue. 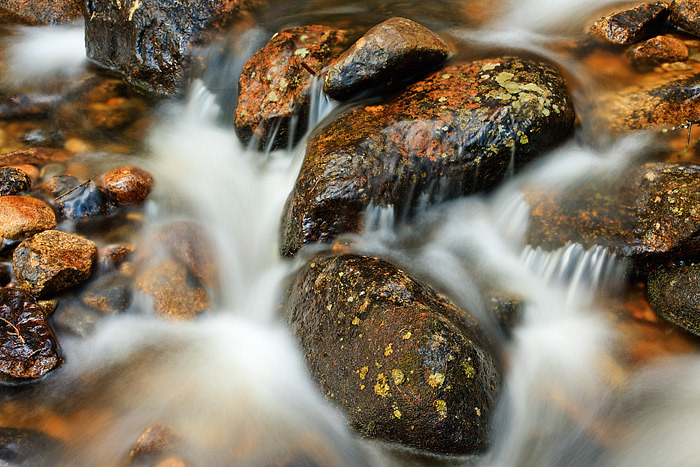 I photographed Cony Creek weaving and bobbing through these small boulders one morning just below Calypso Cascades in Wild Basin. Wild Basin is filled with interesting waterfalls and water features and is a great location to photograph streams and water in Rocky Mountain National Park. Photo © copyright by Thomas Mangan.